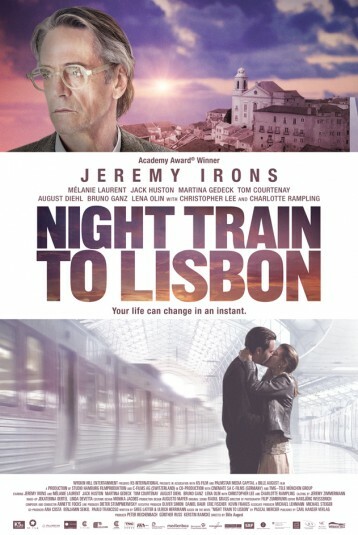 This thriller follows Raimund Gregorius, a Swiss Professor (Academy Award winner Jeremy Irons) who, having saved a beautiful Portuguese woman from leaping to her death, stumbles upon a mesmerizing book by a Portuguese author, which compels him to suddenly abandon his buttoned-down life and to embark on an enthralling adventure. In search of the author, Gregorius acts as detective, pulling together pieces of a puzzle that involves political and emotional intrigue and the highest possible stakes. His voyage is one that transcends time and space, delving into the realms of history, medicine and love, all in search of true meaning to his life.